Joquetta: Um, yes, this is Joquetta Jackson from the Winn- Dixie bakery calling to let [father-in-law’s name] know that his sheet cake in the shape of Elvis Presley’s sideburn is ready for pick-up. Joquetta: Am I speaking with [father-in-law’s name]? Father in law: No, this is his son. 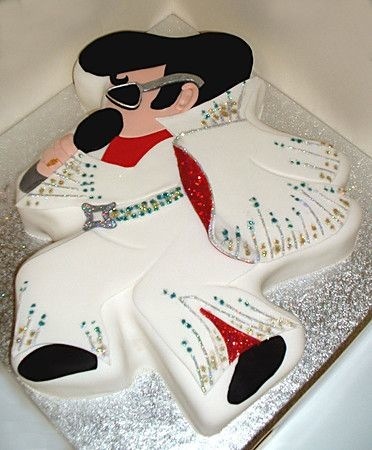 But I can assure you that he is not an Elvis fan and that he never ordered a sheet cake from Winn-Dixie. Never the quitter, Joquetta calls back. Joquetta’s Elvis sheet cake for my father in law. Too bad he never picked it up and the fondant had to go to waste. The next victim was a law school friend named Kevin. He was a smart and hardworking young lad whose efforts earned him an associate position at one of the country’s most respected silk-stocking law firms after graduation. We’ll call the firm ABCLegal. Joquetta: Um, yes, this is Joquetta Jackson from the Winn- Dixie bakery calling to let Kevin [last name] know that his new associate appreciation sheet cake is ready for pick-up. Kevin: What? I’m confused. 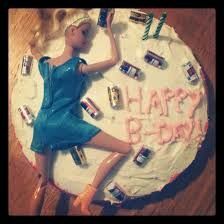 I never ordered any sheet cakes. Joquetta: Yes, sir, but it’s my understanding it was ordered by ABCLegal as a gift for Kevin [last name]. Are you Kevin [last name]? Kevin: Yes, I’ll come by later today to pick it up. We all thought Kevin was humoring Joquetta by telling her he would retrieve the cake with no real intention of doing so. However, we subsequently learned that Kevin actually got into his car, drove to the Winn-Dixie, and presented to the bakery asking for his non-existent sheet cake from a non-existent Joquetta Jackson. 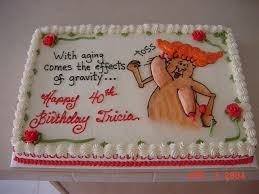 It’s been a decade and I really need to deliver a sheet cake to Kevin’s house to make up for the misbehavior. 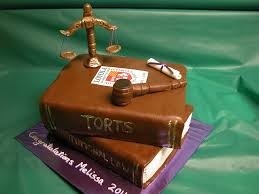 Joquetta’s lawyer sheet cake for Kevin, courtesy of his employer. The next victim. A girl named Sally who was going to be celebrating her Bachelorette party in New Orleans. Joquetta: Um, yes, this is Joquetta Jackson from the Winn- Dixie bakery calling to let Sally [last name] know that her bachelorette party sheet cake is ready for pick-up. Sally: I never ordered a sheet cake. Joquetta: It’s already been paid for by the credit card number I have on file for you. Sally: I never called and ordered a sheet cake and certainly didn’t give anyone my credit card number. Joquetta: Ma’am, respectfully that’s not true. I have a card number here on file with a billing address of 123 Oak Lane. Sally [angrily]: Read me the card number. Now! Joquetta: Ma’am, it’s against company policy to divulge that information over the phone. How do I know you are who you say you are? Just come pick up this sheet cake before the buttercream frosting starts to melt. Joquetta’s bachelorette party sheet cake for Sally. Joquetta Jackson hasn’t made an appearance in nearly a decade, but I enjoy keeping her memory alive. Below are photographs of some more of Joquetta’s creations that I stole from the internet obtained from the Winn-Dixie website. 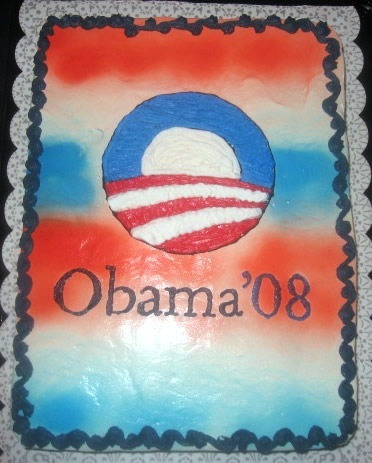 Joquetta’s sheet cake she prepared specially for Obama’s inauguration. 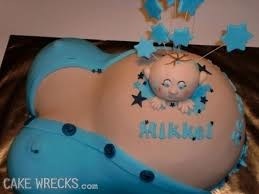 Joquetta’s signature baby shower sheet cake. 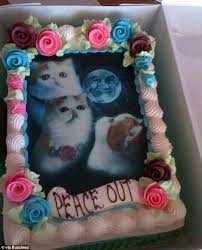 Joquetta’s “it’s see you later not goodbye” cake for the person who is also the cat enthusiast. Joquetta’s 40th birthday/ over the hill cake. Boy, does that Joquetta have a sense of humor! Don’t hate the prankster: hate the prank! I obviously knew you had a great sense of humor butttttttttt I love hearing you’re a prankster and have a bit of that juvenile humor in ya, too! Life’s too short to be all boring and serious. I needed this today! I hope a Jacqui post is next. And if you want to drink wine and prank call people this weekend, I’m all in! Omg, does Jacqui still have a Facebook page! ?